← Are You Caught In the Child Trust Fund Trap? An alarming number of people are also forced do to the exact opposite of saving, instead putting themselves into debt just to get by with day-to-day expenses, providing a temporary respite though obviously not beneficial for the family’s finance in the long term. If more people had saved before the crisis started, they could possibly be living off their savings rather than off of loans; still not ideal, but at least a personal safety net. Still, not all is gloom as many families are starting to realize the importance of saving and preparing adequately for bad times, as well as learning how to save money in their everyday life to get more money left over for investments and savings. Building up savings for children, for example through a Junior ISA, is becoming more important as tuition fees are set to skyrocket this autumn. As it turns out however, when it comes to savings the genders are far from equal. While women seem to have better intention, and in fact open up more savings accounts than men, in the end they also put less money into them. This is according to recent research conducted by Halifax, which show the difference in savings between genders. Looking at figures from last month, women opened the majority of savings accounts in most categories, including 57 percent of all new fixed term accounts, 53 percent of all instant access accounts and 55 percent of ISAs and Junior ISAs. 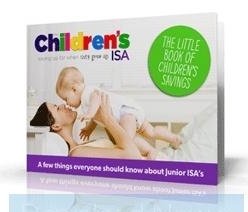 Many parents right now are choosing to save for their children through the new savings vessel Junior ISA. It is offered by providers such as Shepherd’s Friendly, and is a flexible way of saving long term for children. However, while women opened the majority of the accounts, men put more money into theirs. Looking at the figures, men on average had a balance more than £1,000 more than women did when it comes to accounts with a variable rate. The difference is between £8,936 for men and only £7,664 for women, a difference of 17 percent. When looking at accounts with fixed rates however, the men and women’s balance was much more equal, with only a one percent difference, £7,516 for men and £7,426 for women. A similar survey done by Prudential covering 1,600 adults discovered that men also put more into their retirement savings than women, with four in ten women not having one at all. For men, that figure is three in ten. A big part of the explanation for this can be found when looking at official statistics for 2011 from the ONS. There it is clear that men continue to earn more than women, on average making £28,400 per year rather than £22,900 which is the figure for women, in total a difference of earning at 24 percent.